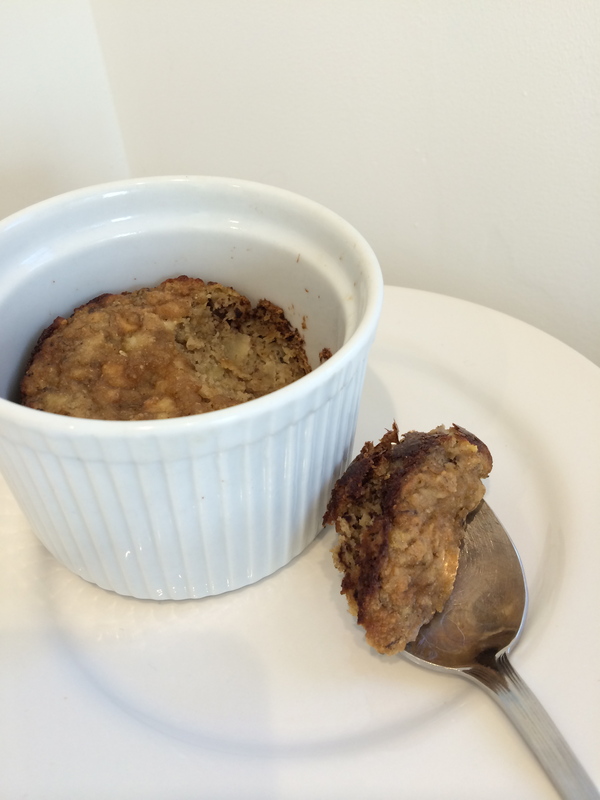 Here is a simple and very comforting, paleo aip treat. I divided the batter between three ramekins though you can also bake them in a muffin pan. I think this batter would freeze well–save one for a rainy day! *Ginger tip! Freeze peeled and chopped ginger. It will easily grate and last a long time. I don’t know what “paleo,” “aip,” “ramekins,” or “nutribullets” are, but that’s what Google is for, and I would eat these muffins, regardless.